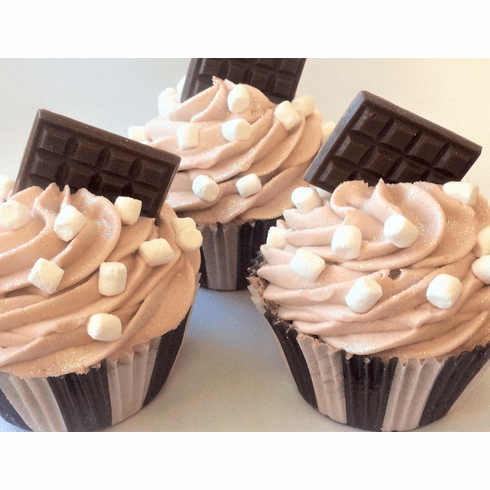 Delightfully scented in a yummy s'more fragrance with decadent marshmallow, chocolate, and graham crackers, this cute cupcake bath bomb will make taking a bath extra exciting. Decorated with adorable little marshmallows and a soap chocolate bar. Just remove the packaging and watch is dissolve in your tub.